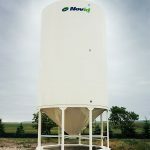 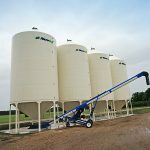 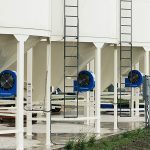 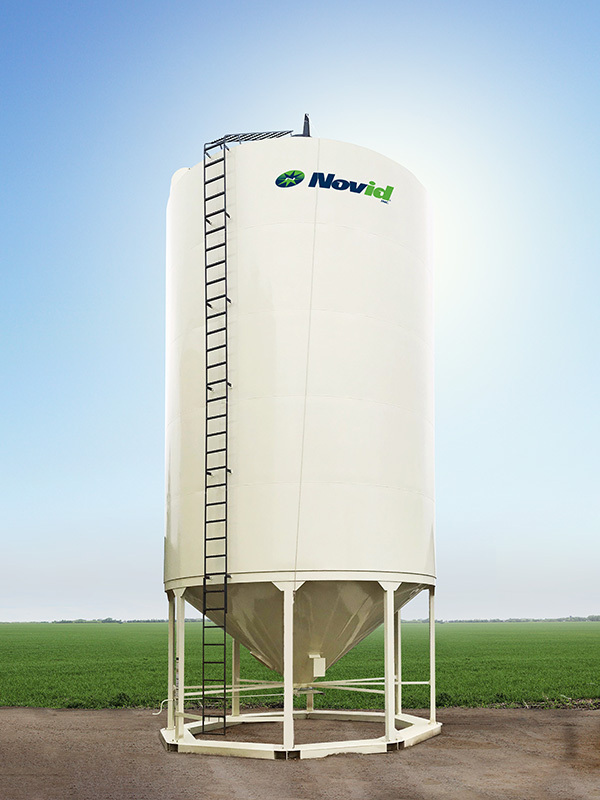 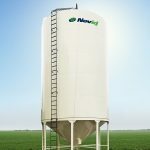 Smooth Wall Bins | Novid Inc. 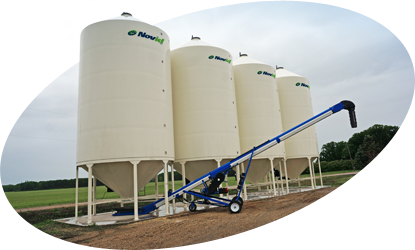 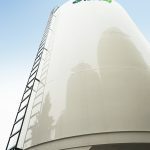 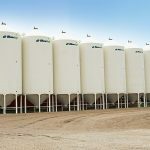 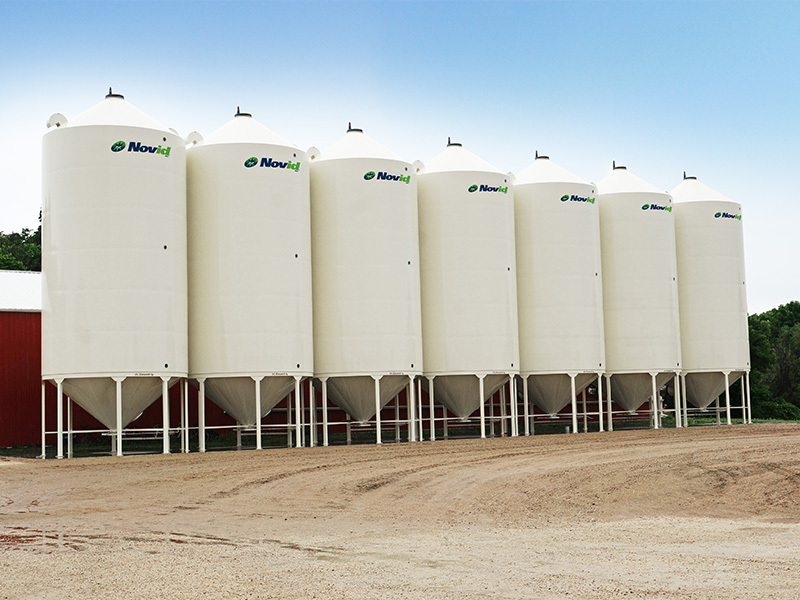 Available in standard grain bins, raised discharge seed bins and epoxy-coated fertilizer bins. 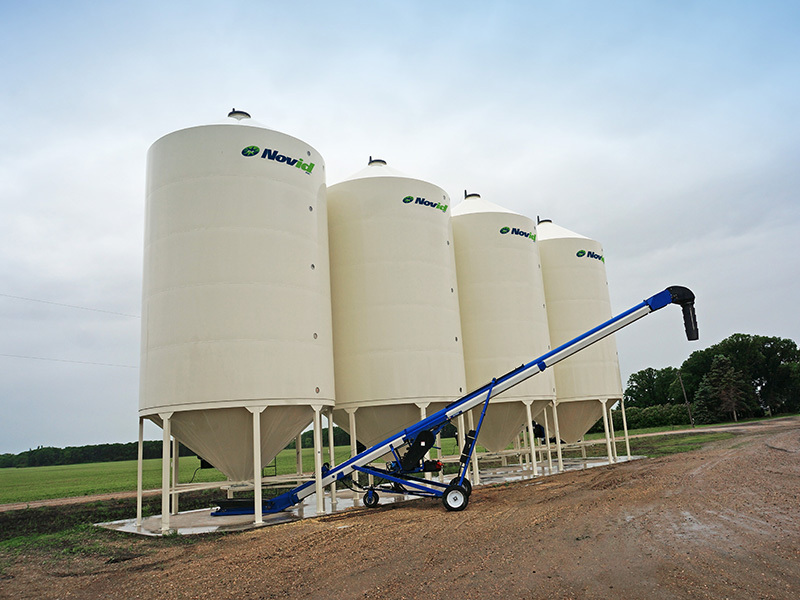 Available in 14’, 16’ and 18’ diameters, with sidewall heights from 5’ to 30’. 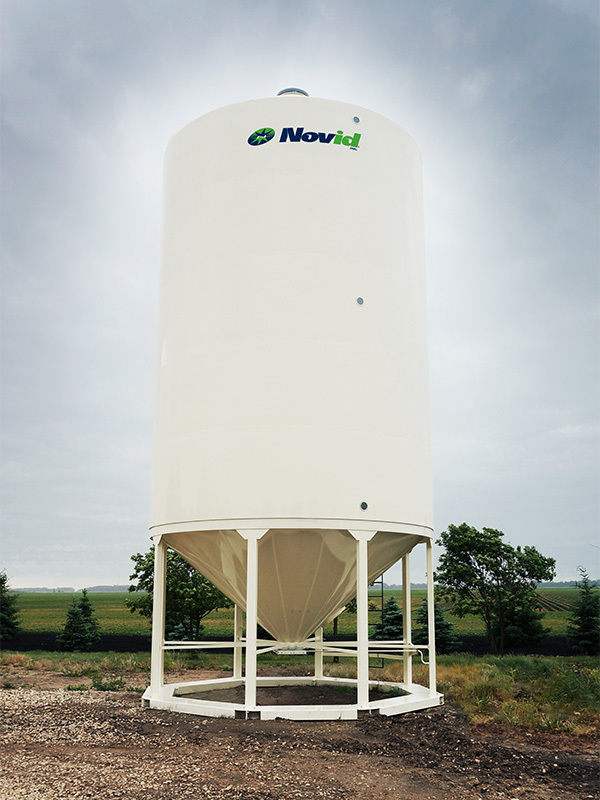 All bins feature industrial grade liquid paint over an epoxy primer for superior adhesion. 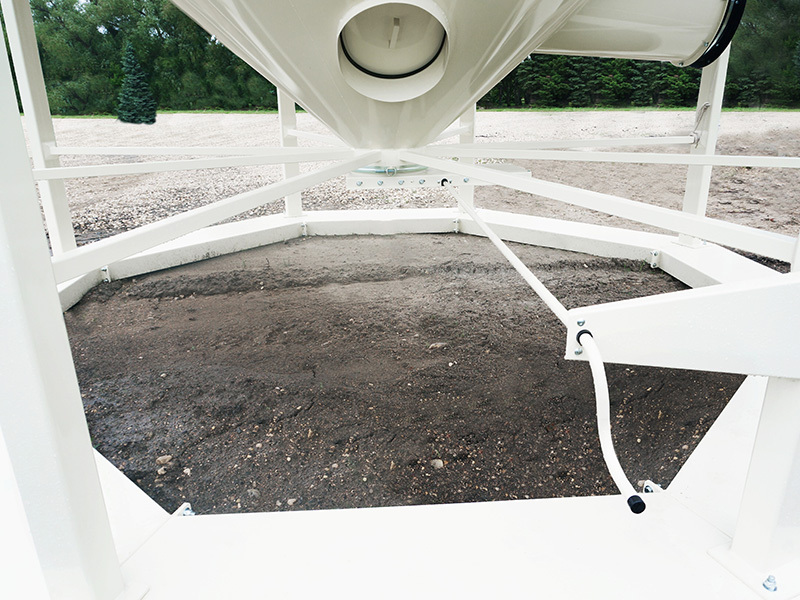 Standard 27” top opening with a vented 29” spring-loaded lid. 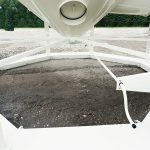 Industry’s largest skid base provides unsurpassed stability. 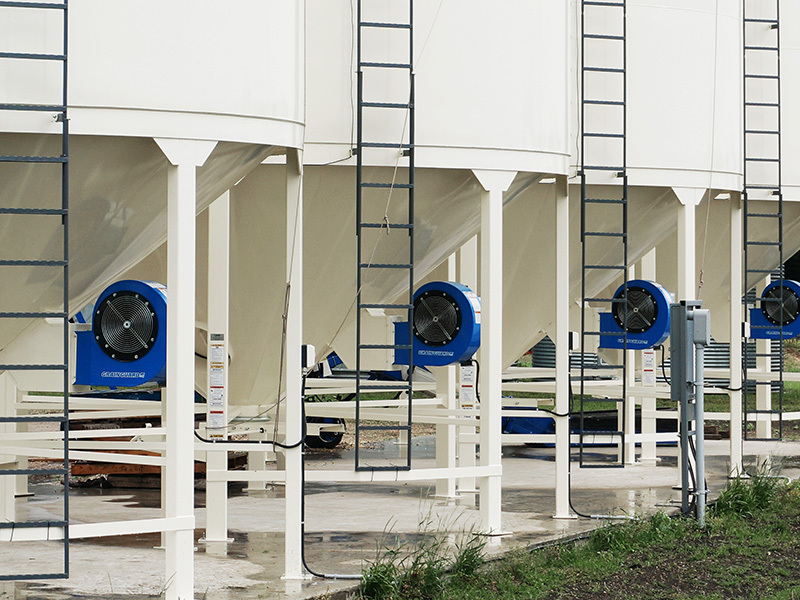 Standard adjustable rack and pinion slide gate assembly. 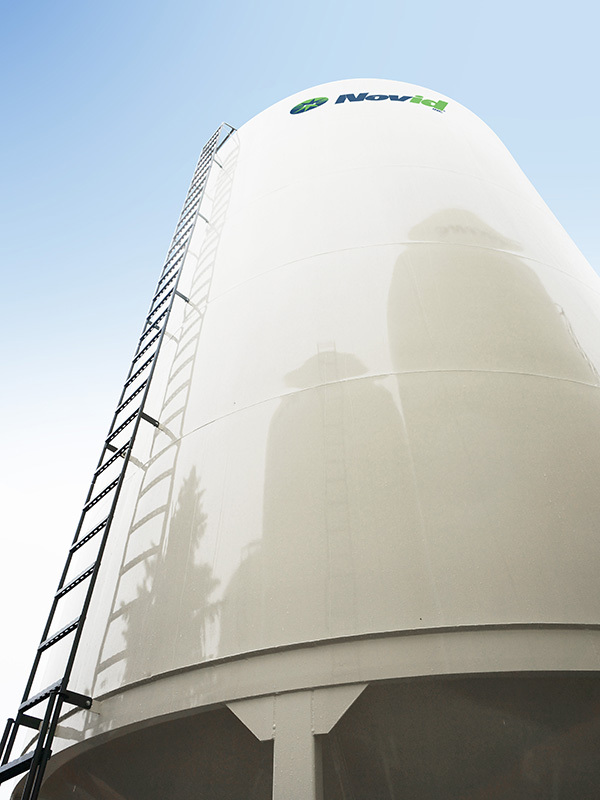 10 year warranty on structure and 5 year warranty on paint.